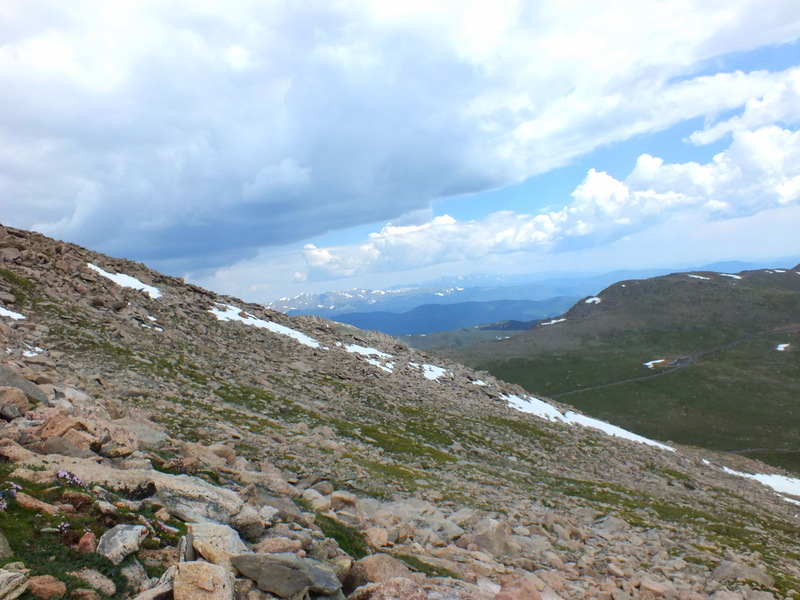 I hiked to the top of Mount Evans with a group from work. 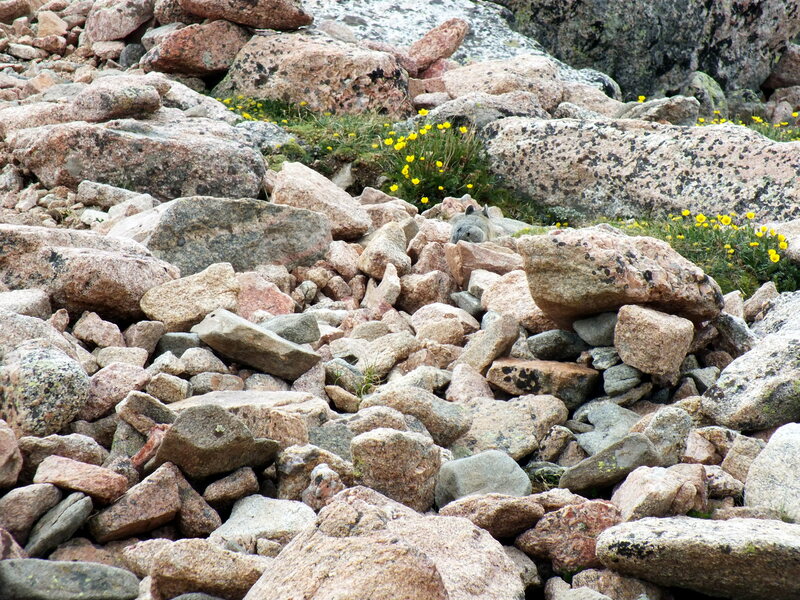 On my way down, I passed through a large boulder field about 500 feet below the summit. 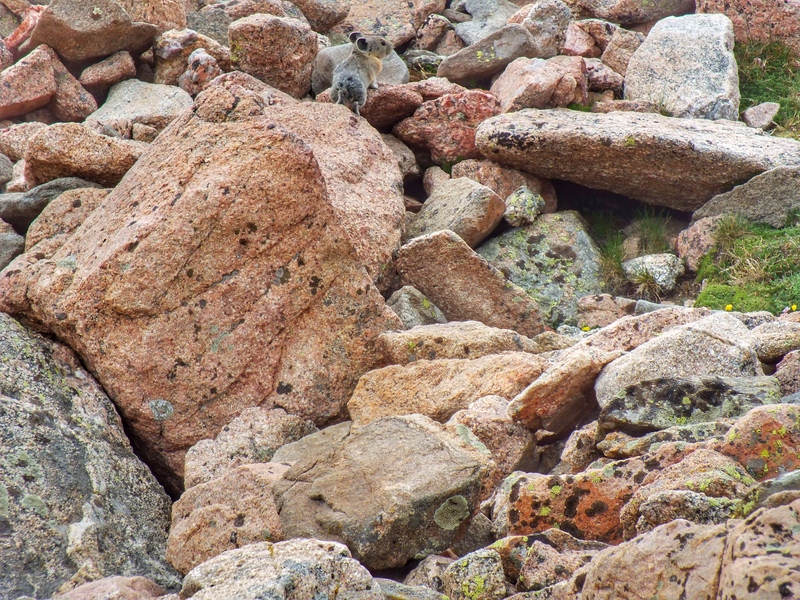 I’d been hearing odd screeching noises and thought they might be made by pikas, but it took me a while to spot them. I finally saw three or four running through the rocks not far off the trail. It was hard to get a photo because they matched the color of the rocks and they moved fast. Most of my shots show the back side, but I did manage one good shot. I was bushed from climbing the mountain and I still had a ways to go to get to the car—and it was threatening to rain. I didn’t stick around long.